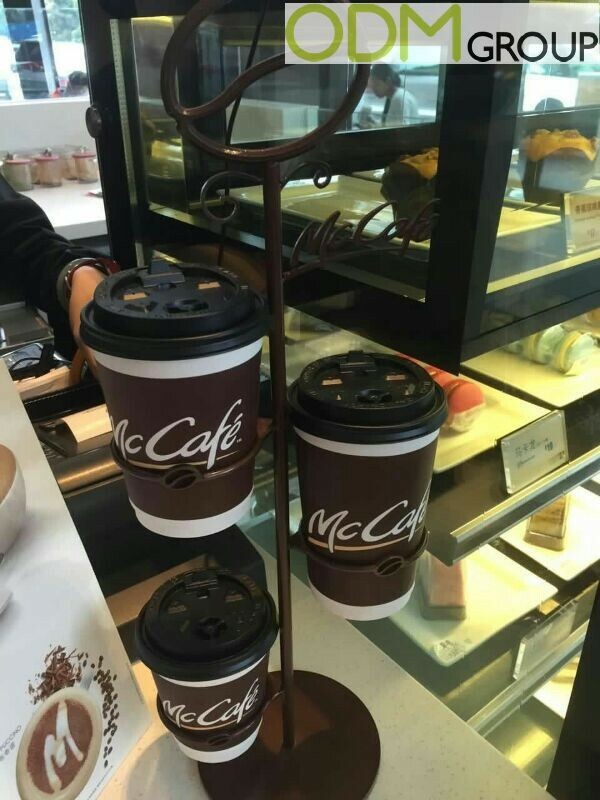 Chinese McCafe has launched new coffee promotion. McCafe is keen on promoting its core product, therefore POS display is used as one of the elements of the campaign. Increased brand awareness of the McCafe brand and trial of the product – those are one of the marketing objective of this campaign. And the company is taking advantage of the numerous benefits POS display offers. What impact POS display has on promotional campaign? First of all, POS display provides maximum exposure to the product, making it more noticeable to the customer. Additionally, POS display was proven to be effective when it comes to influencing impulse shoppers as it is strategically placed right next to counter. The trial of the displayed product and subsequently the sales of it are going to rise during promotional period. POS display also works as a tool for a product’s differentiation, therefore providing a competitive advantage. The design of POS display is important to consider as it communicates the brand message, therefore it should fit within company’s image. It will beneficial in achieving the consistency of message, forming strong brand image and positive brand attitude. McCafe’s POS display has a simple design, but at the same time it shows the product at its best. Feel free to contact the ODM Group to learn more about POS displays or other promotional products, which you can include in your marketing strategy. We have years of experience with sourcing promotional products for companies all over the world. In addition, if you’re interested in related study cases like this, then please visit our POS display page, with tailored advice on this topic.